Last week’s Driftwood announced in a story that a new “tourism tax” is on its way. 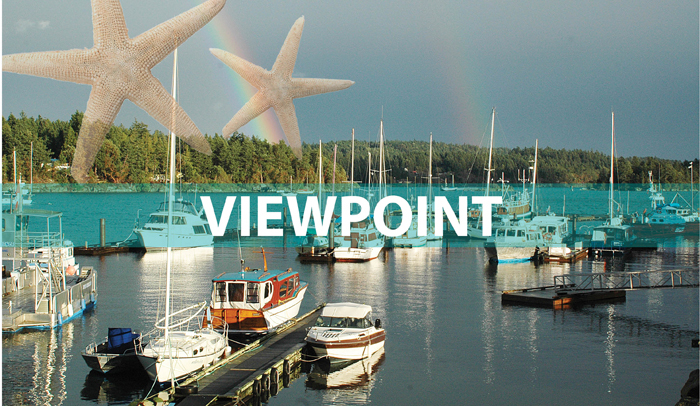 The Salt Spring Economic Development Commission came up with the ironic idea to levy yet another tax on Salt Spring’s accommodation providers in order to promote tourism. When we first stayed on the island as visitors, we had a hard time finding accommodations for one night only. When we did, it was $150, and did not include a real breakfast, and this was more than 10 years ago. When we came to live here, we vowed to do better for visitors to the island. We opened Between the Covers Booklovers B&B, with two rooms, a big breakfast, and charged under $100 per night. We have been able to host people from all over the world during the past 10 years. Last October the provincial government applied five per cent PST to accommodations in addition to GST. Now it seems a new, local tax is being implemented. When we first heard about this through the Accommodations Group of Salt Spring Island, we and other small accommodation providers voiced grave concerns. The tax, it was explained, would be used to promote tourism. I was pleased to see, in last week’s article, that Pender Islanders were as concerned as we are about yet more promotion of tourism. Ever since Salt Spring was promoted in publications like the New York Times and Forbes magazine, we have all noticed the increase in numbers flocking to our island. Three sailing waits for ferries, no parking and no available beds have already been the result. In theory it sounds good to promote “shoulder seasons” to visitors. But, realistically, how many of those summer tourists will come when November rains are pouring down? We are not Tofino or Whistler, nor do we want to be. Most residents are relieved when the tourists leave for a while. How many B&B operators actually want to remain open year round? As a small, home-based accommodations provider I don’t want to pay another tax, do the associated paperwork or even pass more costs on to visitors. It’s like shooting ourselves in the foot. In our two-room B&B we don’t just provide accommodations to tourists, we often host people visiting family on the island who don’t have extra space to accommodate them. Perhaps instead of charging a new tax to those of us who provide beds to visitors, we should look at taxing the transportation providers who bring boat and plane loads of visitors to the islands.